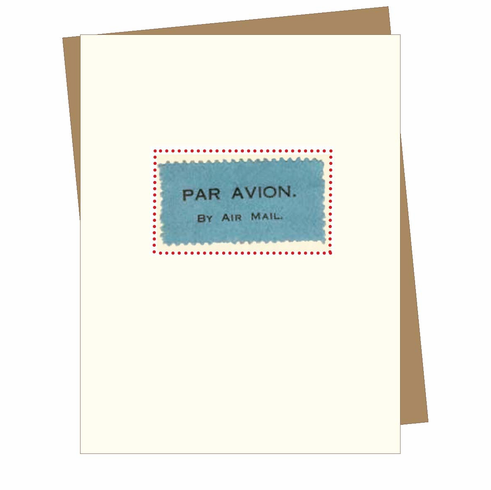 This card features the image of a vintage travel sticker that reads "Par Avion" and "Via Air Mail." Bon voyage? When do you sail?